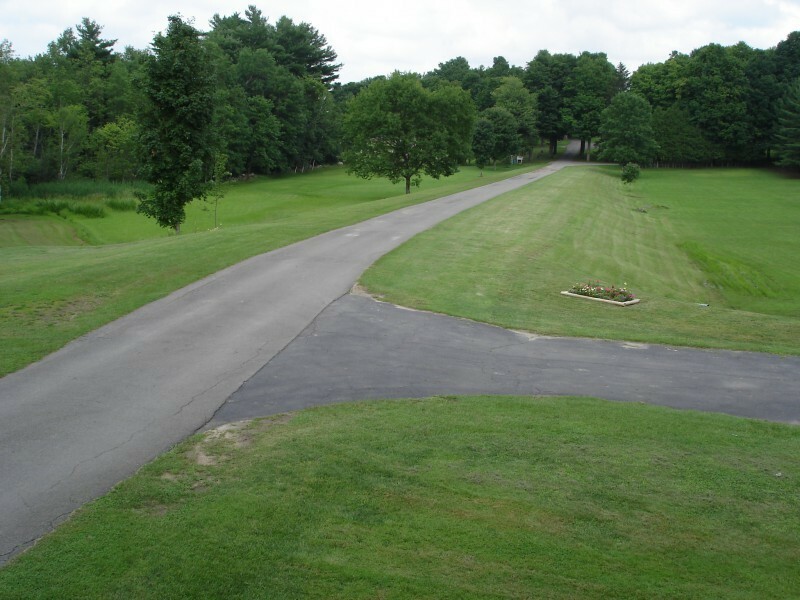 Bayside Cemetery is approached by a 200-yard driveway, conceived by the landscape architect as an aid to visitors to shift from mundane affairs to the deeper issues expressed in the burial grounds. Today the approach is a narrow paved surface on a berm surrounded by open lawn. The photo to the right illustrates the contemporary. In the nineteenth century, the approach was a two-lane carriage track and walkway lined with elm trees and a sandstone retaining wall. 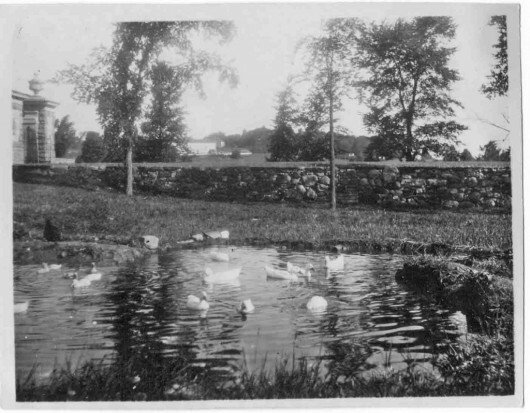 The c. 1900 photo below shows this. The color photo below it is a reconstruction of the approach as it would look today. 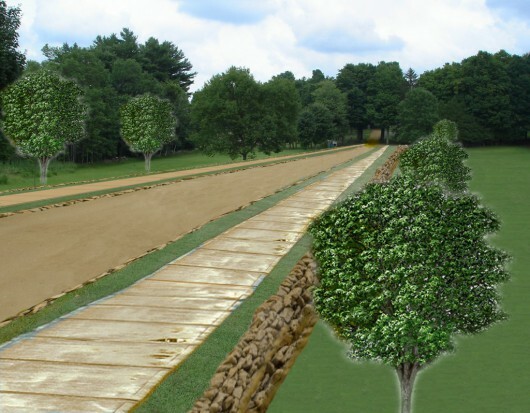 We are currently planting trees to restore the allee lining the driveway approach.